Slim your waist not your wallet. While Prime Day is a great chance to grab a cheap TV, PC, or DVD set, it’s also a good excuse to get the tools you need to get in shape. 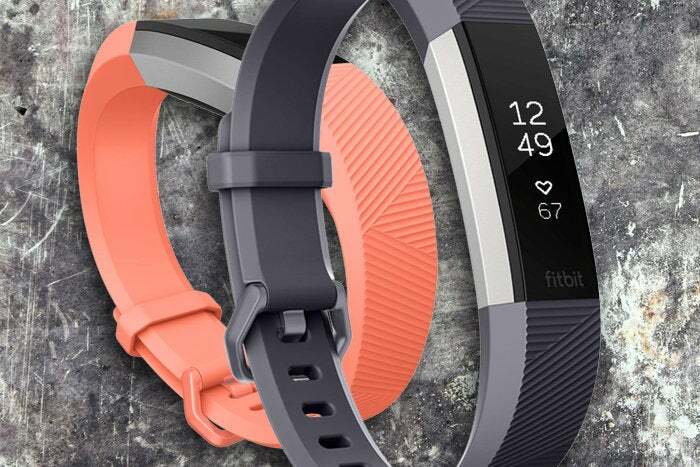 Amazon is running a few awesome deals on fitness trackers to help Prime members on the road to their workout goals, and we’ve collected the best ones here. If you’re looking for something a little simpler, Fitbit’s Alta HR might fit the bill. Even with a slim design, it still brings a heart-rate sensor, sleep tracking, full fitness tracking, and 7-day battery life, as well as notifications and call alerts. It retails for $150, but Amazon is selling it today in black, blue, coral, or fuchsia for just $90Remove non-product link. We’ve previously seen it as low as $99, so this is an incredible deal. Garmin’s vivofit 4 is a unique fitness tracker that trades sensors for battery life. You won’t find GPS, NFC, or a heart rate sensor, but you will get step tracking, sleep monitoring, and water resistance, but the best part of the vivofit 4 is its battery life: not a week, not a month, but a full year of fitness monitoring without needing to give it a charge. Normally selling for $80, Amazon has is on sale today for just $60Remove non-product link, the best price we’ve seen so far. With built-in GPS and heart-rate sensors, the Huawei Band 2 Pro is surprisingly robust for its $70 price tag. But today you can get one for just $50Remove non-product link. Huawei's fuller-featured wearables, the Watch 2 Classic and Watch 2 Sports are also on sale for $100 off their retail priceRemove non-product link, but we think the Band 2 Pro is the better deal. For traditionalists, Amazon also has a great deal on a couple Fossil smartwatches. For men, there’s the Q Explorist (Gen 3) in stainless steel for $165Remove non-product link, the lowest price we’ve seen for this timepiece. Women might want to check out the Q Venture (Gen 3) for $153, also a 40 percent savings. Both watches look like a traditional timepieces, and are powered by Wear OS for music, fitness, and notifications, and feature all-day battery life. Models with stainless steel bands are available, too, but for an additional $12. We’ll be updating this post through Prime Day as new deals become available, so be sure to keep checking back.